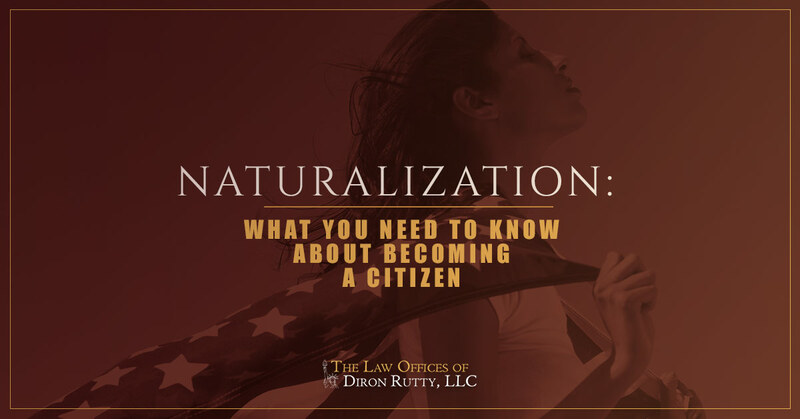 Naturalization is the last in a long line of steps necessary to become a U.S. citizen. For most, it is a major achievement and a deeply meaningful reason to celebrate. However, so many changes to immigration policy recently have made this process seem even more daunting than before. Start here to delve into the basics of the naturalization process and what recent changes mean. In order to become a U.S. citizen and enjoy the rights that it provides, the final step is to apply for and be approved for naturalization. Once naturalization is approved and a person is naturalized, they will hold nearly all the same rights as a natural-born citizen — with very few exceptions. The most commonly known caveat is that naturalized citizens cannot hold our nation’s two highest public offices: that of the president and vice-president. In order to be eligible for naturalization, a person first has to become a permanent resident, otherwise known as a Green Card holder, and be at least 18 years old. After maintaining that status for five years, the person is eligible to apply for naturalization — though the time can be shortened to three years for those who are married to and living with a U.S. citizen and have not been out of the country for 18 months or more. After the time requirement is met, there are a few other eligibility requirements. The full list of stipulations can be found in flowchart form on the U.S. Citizenship and Immigration Services website. These include the ability to read, write, and speak English; basic principles of U.S. history and government; and being a person of good moral character. If you would like to learn more about the application process, an immigration lawyer can help guide you. There are two pretty commonly asked questions about what happens after the naturalization process. One is whether or not the U.S. allows dual citizenship, and the other is whether citizenship can be lost once earned. In regards to dual citizenship, the answer is complicated. It is generally not encouraged, but it is not expressly forbidden. Naturalized citizens have to take an oath renouncing previous allegiances, but they are not required to formally terminate other citizenships. If you or a loved one has had their naturalization case reopened, or even if you want additional advice and guidance through the process in general, an immigration lawyer can provide the guidance you seek. For those seeking help in The Bronx, contact the Law Offices of Diron Rutty, LLC to get started.